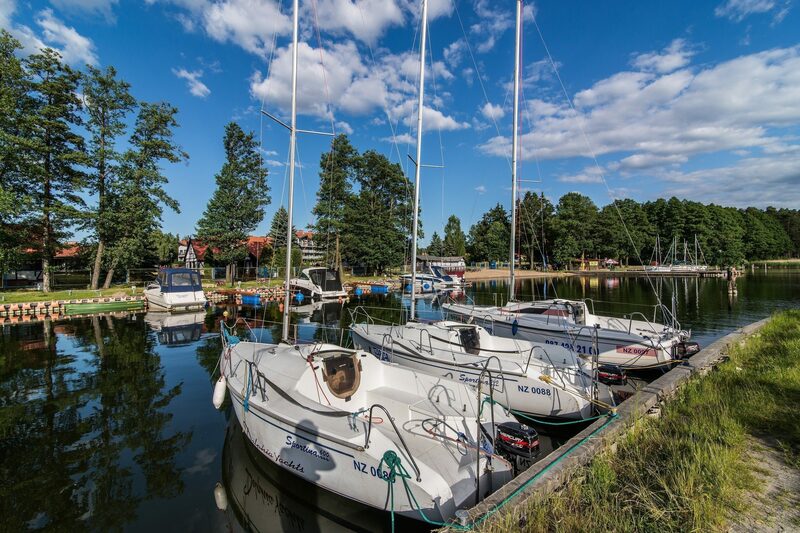 This Masurian Hotel having its own yacht harbour is a true oasis for all of those who love water sports, especially sailing and motorboat cruises. 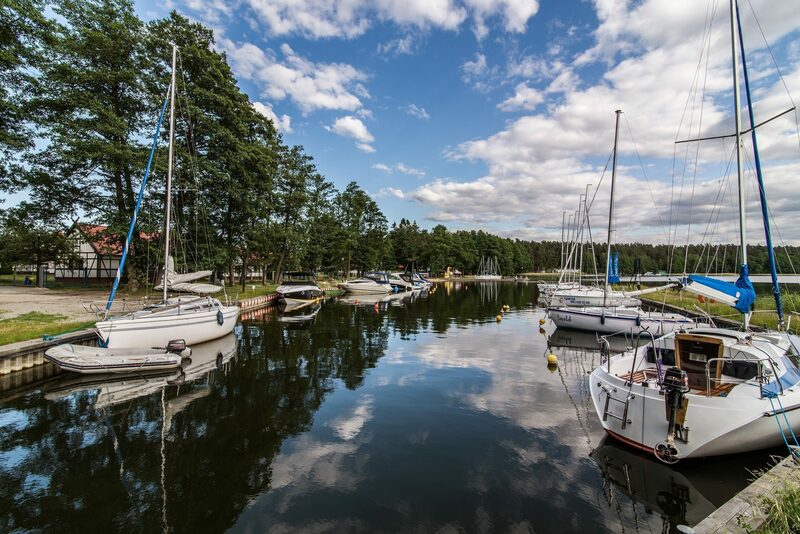 Our harbour offers mooring and docking for 30 yachts and other swimming vehicles. 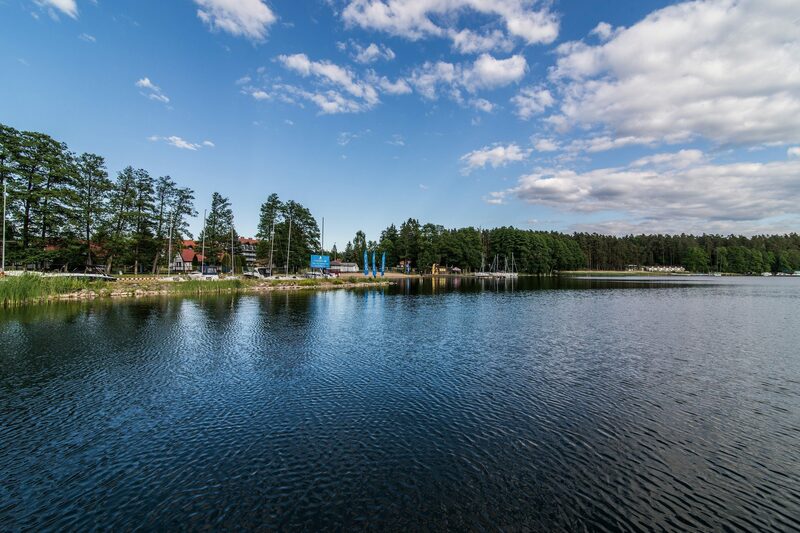 Sailors can be provided with drinking water, toilets and showers as well as full access to the infrastructure of the Mazurski Raj Hotel, with all its attractions, tavern by the lake, Malinka restaurant, club with bowling alley and disco. Come and see it for yourself! 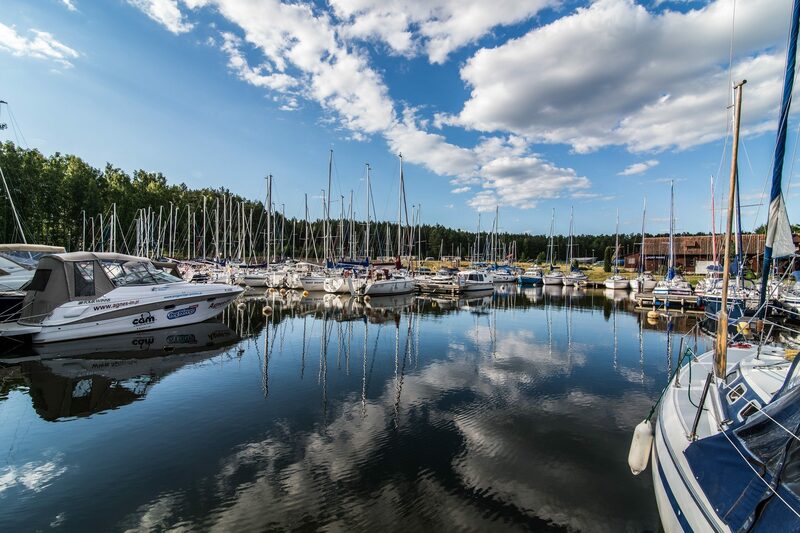 The Masurian harbours are best of all! Our offer is additionally complemented by the rental of professional water equipment. At your disposal, there are sailing boats, rowing boats, kayaks and pedal boats. 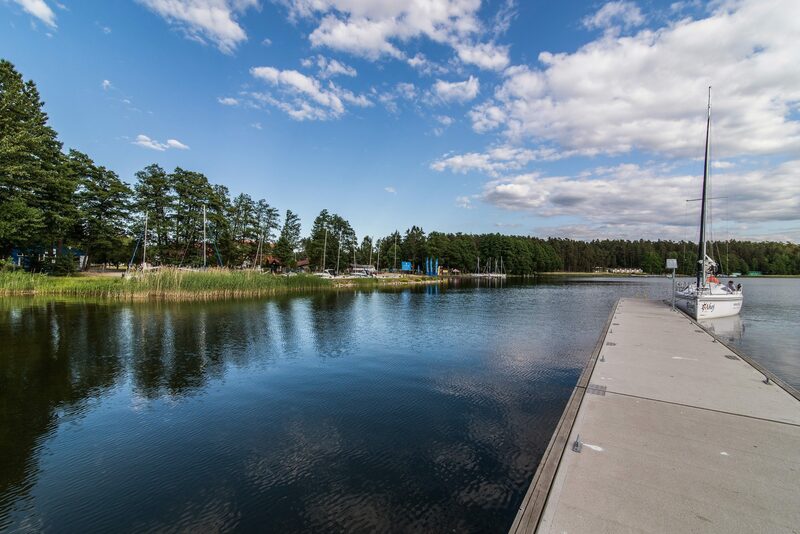 We also organize regatta during company events. The boatswain managing our harbour is always read to help you with some repairs or regulations of the boat equipment. Slipways should be ordered in advance, however. 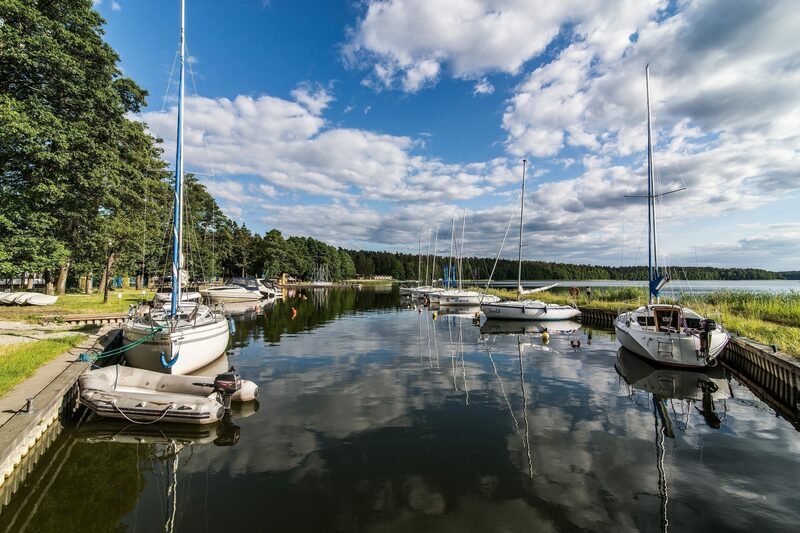 Masurian harbours take your breath away! Check why ours is your choice! Professional quays, modern equipment, highly qualified staff – and you can be sure from now on that everything will go just smoothly. 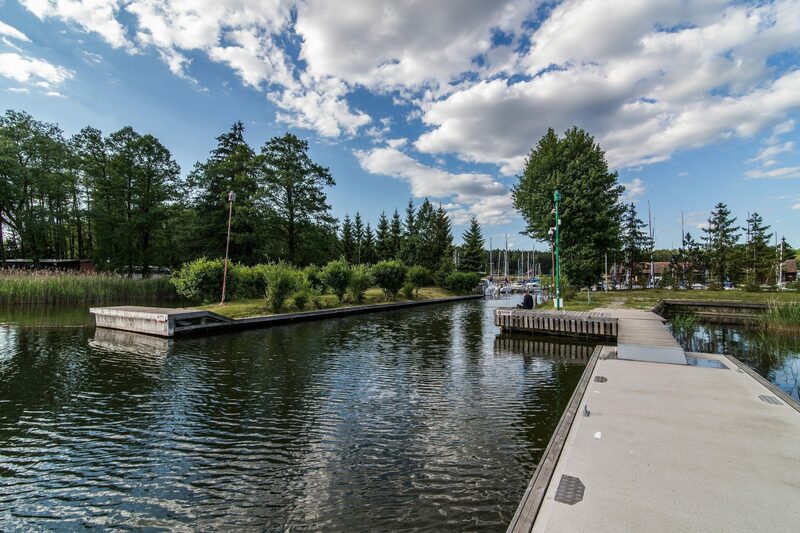 We offer 30 docking places, drinking water and access to the hotel infrastructure. Our merry crew can teach you all about sailing and even organize courses for future helmsmen. Every sailor visiting the harbour is wholeheartedly welcome to take advantage of the hotel attractions. 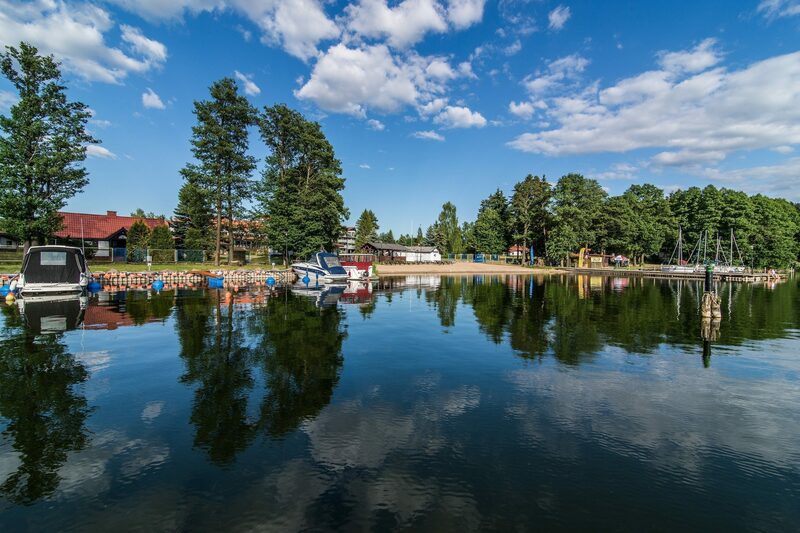 Don’t forget to visit the Tavern by the lake, Malinka Restaurant, club with bowling alley, billiards and our crazy disco! Come and enjoy the Mazurski Raj Hotel *** in Piaski near Ruciane Nida.